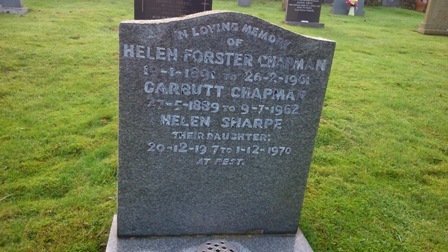 In Loving Memory of Helen Forster Chapman. 19/1/1891 to 26/2/1961. Garbutt Chapman 27/5/1889 to 9/7/1962. Helen Sharpe their daughter 20/12/1917 to 1/12/1970. At Rest.